The Government and Opposition lawmakers united to congratulate Speaker Karu Jayasuriya in Parliament for the honorary title ‘Sasana Keerthi Sri Deshabimani’ conferred on him by the Malwatte Chapter of the Siam Sect. 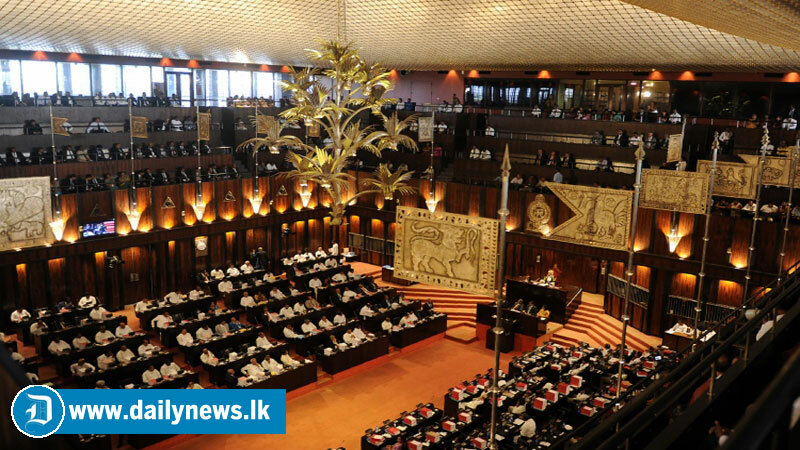 Chief Government Whip and Minister Gayantha Karunathilake taking the floor at the commencement of the sittings said that it was a well-deserving honour on the Speaker. “We are extremely happy that the Speaker was honoured by the Malwatta Chapter Chief Prelate and the Sangha Sabha in recognition of his services to the Buddha Saasana and the country. Previously he was accorded with the ‘Grand Cordon of the Order of the Rising Sun’ by Japan and recently the Abdul Kalam Institute of Technology of India awarded him the title of ‘Pride of Asia’. We congratulate the Speaker for these achievements. He was a bold leader who appeared steadfastly to protect democracy and the Parliament’s dignity,” said Minister Karunathilake.